We describe a new ASTRODEEP software, named EGG, the Empirical Galaxy Generator. It is a tool designed to generate arbitrarily large mock galaxy catalogs with realistic fluxes and morphologies. 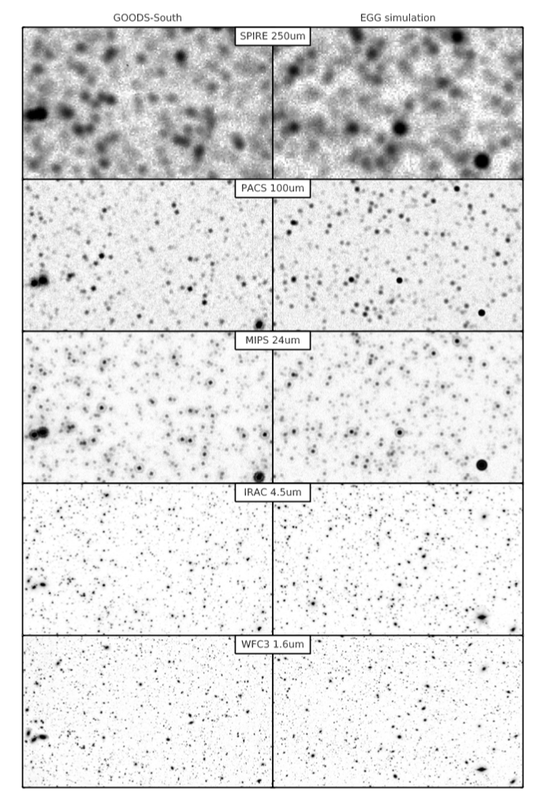 Entire surveys of several deg^2 and milions of galaxies can be generated in a couple of minutes. The simulation procedure is based exclusively on empirical prescriptions to provide the most accurate match with the observations. In particular, we consider that galaxies can be either quiescent or star-forming, and use their stellar mass (M*) and redshift (z) as the fundamental properties from which all the other observables can be derived. These include in particular the star formation rate (SFR), and a morphological description of the galaxy (a disk and a bulge or varying sizes and masses). Based on these observables, a panchromatic spectral energy distribution (SED) is selected for each galaxy, and we finally produce the photometry by integrating the redshifted SED in multiple broad-band filters. The resulting flux catalogs reproduce accurately the observed number counts in all broad bands from the ultraviolet up to the sub-millimeter, and can be directly fed to image simulators such as Skymaker (see Figure above). The images can then be used to test source extraction softwares and image-based techniques such as stacking. EGG is open-source (you can look at the github page), and is made available to the community on behalf of ASTRODEEP, together with a set of pre-generated catalogs and images. Get it now, and start generating your own Universe! Below is a comparison between real observations from the GOODS-South field (left) and a similar region of the sky simulated with EGG (right). The Hubble WFC3 F160W and Spitzer IRAC 4.5um images have been created with SkyMaker, while the Spitzer MIPS 24um and Herschel PACS 160um images are built with EGG. Simply download the code on github, which will give you the latest stable version. You will then need to follow the installation instructions to compile the program before you start using it. Alternatively, you can download a Bash install script that will take care of all the dirty work for you: install.sh. Usage instructions are given at the beginning of the file, be sure to read them before executing the script. Detailed instructions can be found in the EGG documentation. C. Schreiber and the ASTRODEEP collaboration, EGG⋆: hatching a mock Universe from empirical prescriptions , submitted to A&A. 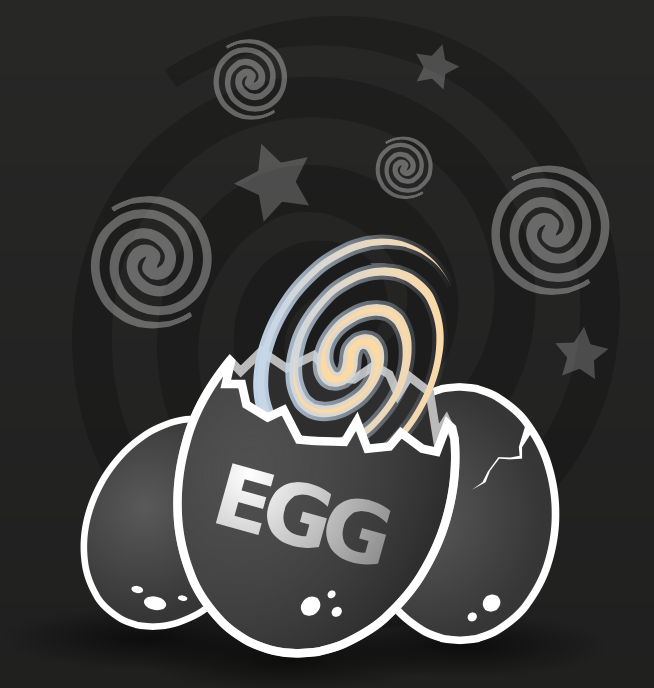 EGG is written with the phy++ C++ library.